Hi and welcome to the latest addition of Monthly Favorites! As the newest writer to tackle this column, I’m going to be doing things a bit differently, combining my favorites list with my monthly wishlist, to give you an idea of what I’m loving and what I’m coveting each month. If you asked me what beauty product I could not live without, I would tell you mascara. I would choose mascara over all of the eyeshadow palettes and brow fillers in all of Sephora. 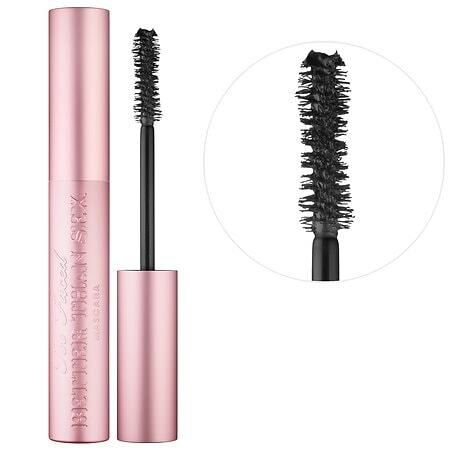 So after years of trying all different brands of mascara, I finally, this month, found the winner: It is this pink tube of magic. It doesn’t flake or smudge, and gets each and every lash. I use this every day and I can’t get enough! Adidas recently came out with new casual sneakers inspired by the ones Kate Moss wore in 1993. What’s better than a fashion icon wearing an iconic piece of fashion? I was shopping a few weeks ago and saw these through the window. I knew I had to get these sneakers when I first saw them; call it shoes at first sight. These kicks are cute, suede, old school, and come in 12 bright colors ranging from black to pink to green! My color? Navy blue. These sneakers seriously go with everything. You can wear them with leggings for a casual day or skinny jeans to go out. Lovex10. I have been eyeing this hat style on Pinterest for months and decided to finally buy it. My satisfaction rate is at 100%. This has quickly become my go-to summer accessory. Forget the scarves and belts and watches! How cute is this floppy hat? I usually don’t plan it into my outfits, rather I just throw it on when I’m about to leave the house. It adds a nice touch to my ensembles. I also love that this hat can be carried into the fall season! It’s a total essential. Okay so I usually am not a fan of fiction, but I went to the library one day and they didn’t have what I was looking for, so I decided to give this book from 2009 a shot. And as soon as I started reading, I couldn’t put it down. I read it in three days! And the ending? It made me feel joyous, and upset, and wanting to cry all at the same time. Told through many different points of view, this novel follows a family who is barely scraping by, due to their daughter Willow’s medical expenses. But Charlotte, the mother, believes she has found a way out through a wrongful birth lawsuit. This novel explores morals and medical ethics, twisting and turning the whole way through. It’s a great read if you, like me, somehow missed it before. So I know I’m a little late to the bandwagon, but WOW. I started watching this show on Netflix and finished the first season (15 episodes) in one week. If that’s not a serious obsession, I don’t know what is. This show is always makes me think and keeps me on my toes. Even when I think I know what’s happening next, the show takes a different turn. 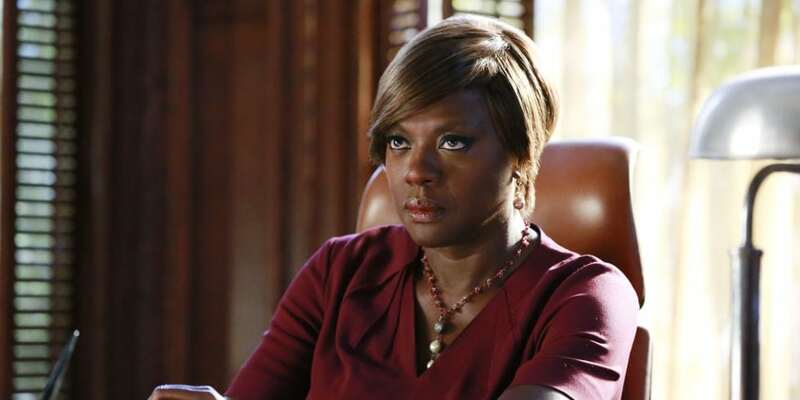 Annalise Keating is one of the top defense attorneys and teaches a class at Middleton University called How to Get Away with Murder. (Click for our fashion post on the show!) Every year, she seeks out students she feels have the most talent and skill to help with cases at her law office along with her two other employees, Bonnie and Frank. Little does everyone know, the “Keating 5” (students who are chosen) and the law office have some dark times ahead of them. Suspense. Excitement. Lies. Murder. Romance. The ultimate combo. 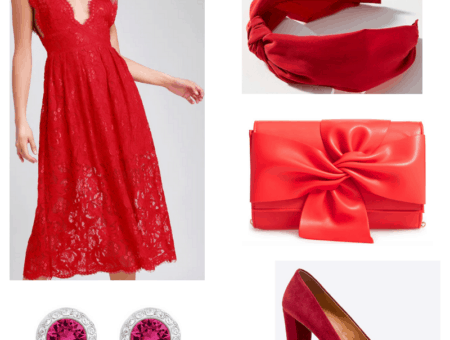 Now that you’ve seen what I’m loving, here’s what I’m coveting. If I end up scoring any of these pieces (I already ordered one), I’ll be sure to let you know in next month’s post. These cute planners make me so excited for school. (Nerd alert!) I am the girl constantly filling out my planners and making to-do lists, so when I saw these planners on Instagram, I went straight to their website. Not only do they have daily and monthly planners, but also “vision planners” for goals, desk calendars, notebooks, card sets, and so much more! They come in a vast array of pretty colors and cool designs. I’ll definitely be carrying one of these in my backpack when school comes around. Thank you, Bloom Daily Planner, for making me look forward to school! Matte is way better than shiny anything if you ask me. That includes nail polish, lipsticks, and eye shadows. I love the color scheme of this palette and how there’s a good mixture of dark and light colors. I’m already envisioning so many combinations! Plus, you can never have enough eyeshadow palettes. 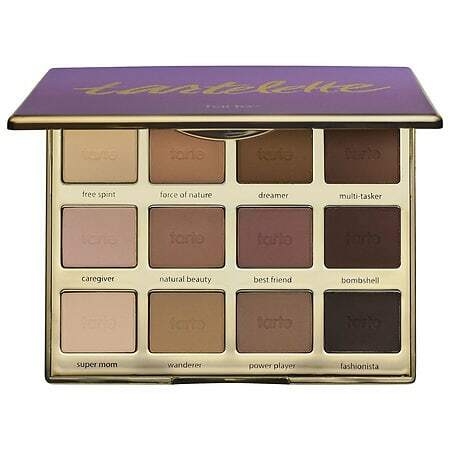 I’m hoping to save up for this one for tons of fall eyeshadow looks. I know a juicer is a bit odd for a college student’s wishlist but let me explain! I feel like I’m secretly a thirty year old woman living inside a twenty year old’s body. I’ve always watched TV shows about cooking and home stuff. So naturally, machines like juicers and veggie noodle cutters make me excited. Juicing makes digesting fruits and vegetables easier (and more fun), you know everything that will be inside of the juice (unlike the additives put in bottles), and it allows you to add a wider array of nutrients to your body! Also, if you currently have a green juice addiction (ahem), you’ll likely save money by making the juice yourself instead of shelling out at the store. Win-win. I’ve never really been a huge ‘purse’ girl, but I’m starting to see the importance of having one quality purse. One that you can take to the gym, for studying, or out for dinner. 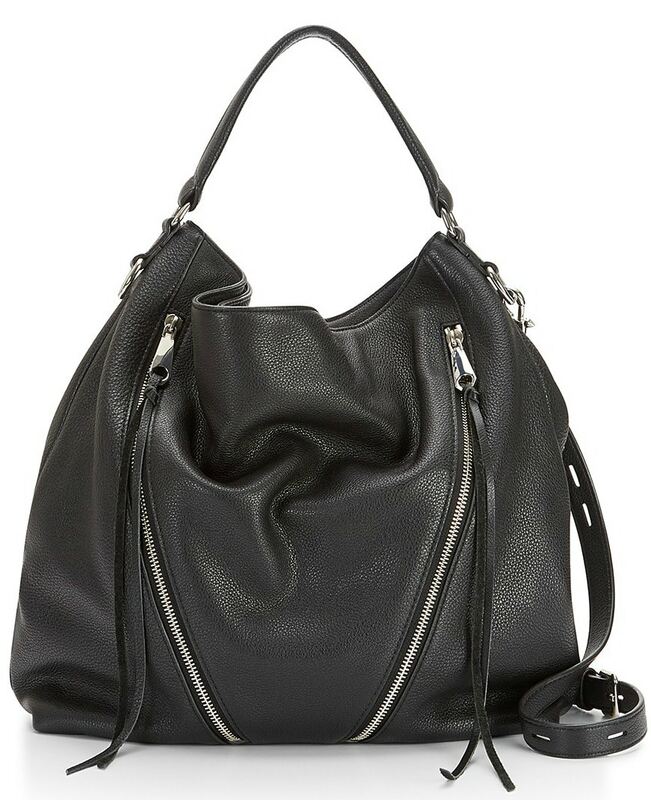 Ideally, I would like the above bag in brown, but they only have this style in black for now. 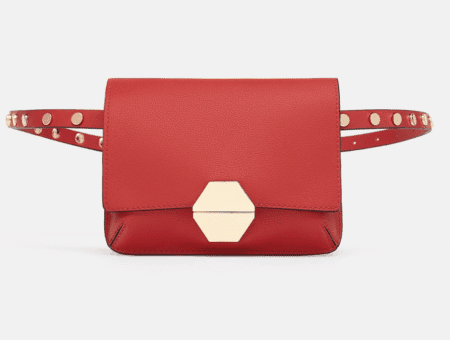 Even one of Minkoff’s smaller cross-body bags would do the job. Since school is around the corner, I have been thinking a lot about room decor. Something about tapestries gives off a certain cozy ambiance. They are beautifully and intricately stitched. A tapestry like one of the three above would be a nice and simple addition to my room, giving it some more personality. I found the ones above at Urban Outfitters’ website. They have a ton, if those aren’t your style! What’s on your favorites list and wishlist this month? What do you think? What’s on your monthly favorites list? Anything you want to buy before school starts? Let me know in the comments below!